Like many people, you probably have some prescription or over-the-counter drugs lying around your medicine cabinet that are expired or you long ago stopped using. An event this weekend offers an easy and safer way to get rid of unused pharmaceuticals than flushing them down the toilet or leaving them some place where they might get stolen. The federal Drug Enforcement Agency’s second Nationwide Prescription Drug Take-Back Day takes place Saturday, April 30 from 10 a.m.-2 p.m., with more than 4,700 drop-off sites across the country. The service is free and anonymous, with no questions asked of participants. The DEA will accept all prescription and over-the-counter tablets and capsules, but not liquids, intravenous solutions or injectables. As of last week, the DEA listed 203 collection sites in Michigan. You can find one here. Blue Cross Blue Shield of Michigan is proud to support this initiative to help prevent pill theft and abuse, a huge problem in the U.S. The 2009 National Survey on Drug Use and Health found that more Americans abuse prescription drugs than use cocaine, hallucinogens and heroin combined. The survey also found that 53 million Americans aged 12 and older reported non-medical use of prescription drugs at some point in their life. Want another good reason to safely dispose of pharmaceuticals? It prevents them from ending up in public sources of drinking water, where few water treatment facilities are equipped to adequately filter out the chemicals they contain. 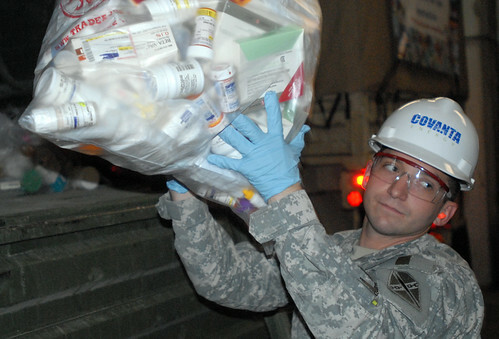 During the first take-back event in September 2010, Americans turned in more than 245,000 pounds — 121 tons — of prescription drugs at nearly 4,100 sites. 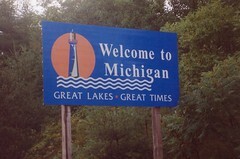 Michigan residents contributed nearly 6,700 pounds, or 3.3 tons. The African American church has always provided spiritual leadership, guidance and motivation to the community. In the Detroit-area thirteen churches are taking a stand and walking their way to a healthier lifestyle by competing in the Body & Soul BLUE wellness challenge, sponsored by American Cancer Society and Blue Cross Blue Shield of Michigan. 40 percent of African American men in Michigan will not live past their 65th birthday. African Americans of both genders are much more likely to develop and die from cancer than any other racial or ethnic population. Although the factors creating health disparities in this country are complex, walking is a safe and simple form of exercise that can improve your health, mood and level of fitness. Blue Cross walking advocate, Jodi Davis lost more than 160 pounds by adopting a healthy lifestyle that included a sensible diet and an exercise regimen consisting of a brisk, daily walk of 1.5 miles each day – and she has kept the weight off for nearly 10 years. With the U.S. spending more than ever on preventable health problems like those listed above, every step counts. Our Body & Soul BLUE challenge gives members of several metro-Detroit African American churches extra incentive to get moving by giving them grants to log the most walking miles of physical activity by the end of the 10-week period. Grant money is used to support health ministry efforts at the winning churches. The faith-based health and wellness challenge gives church leaders a chance to motivate their congregations to nurture their bodies, and their souls. A combination of pastoral leadership, educational activities, and the family environment of the church helps congregations make healthier nutrition and lifestyle choices. Are you involved in a walking or exercise program? What kind of physical activity do you do to stay healthy and fit?